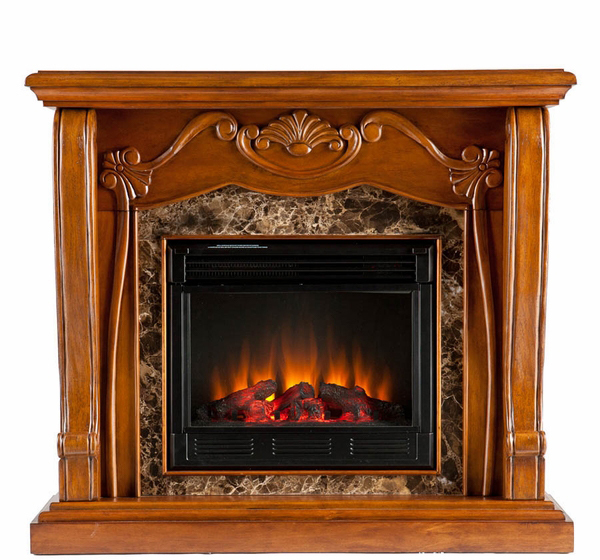 The fireplace is the ageless symbol of the warmth and welcome comfort of home. 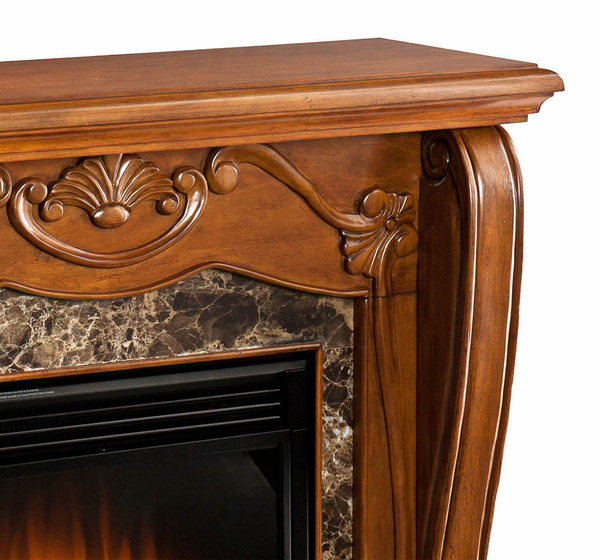 The Victorian design of SEI's Taylor electric fireplace accentuates that enduring charm with classical elegance and style. Yet for all its traditional appeal, the electric fireplace remains distinctly modern, thanks to its 100% energy efficient construction and simple, plug-and-play operation. 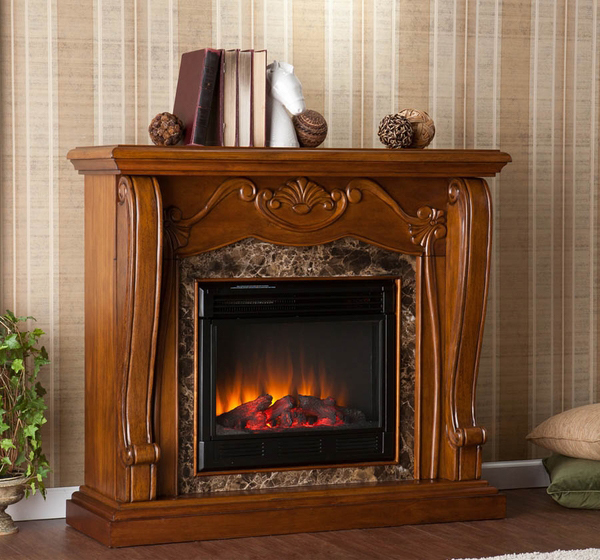 Give your home a new sense of warmth and enduring appeal with the Taylor electric fireplace. How much does the assembled fireplace weigh? The published weight is 129 pounds. Can I put a vent-free gas fireplace in this mantel? 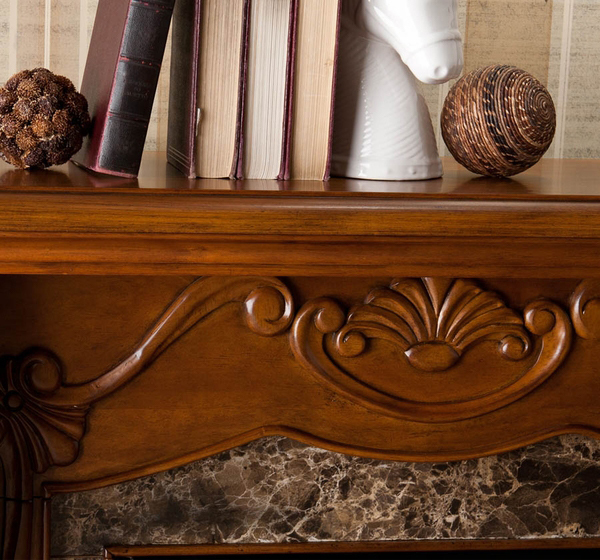 This mantel is only designed to house an electric fireplace. It does not carry the proper listing to house a gas fireplace. Can the flame of this fireplace be on without the heat being on? The flame effect can most certainly be turned on without the heater in operation. What is the BTU output? 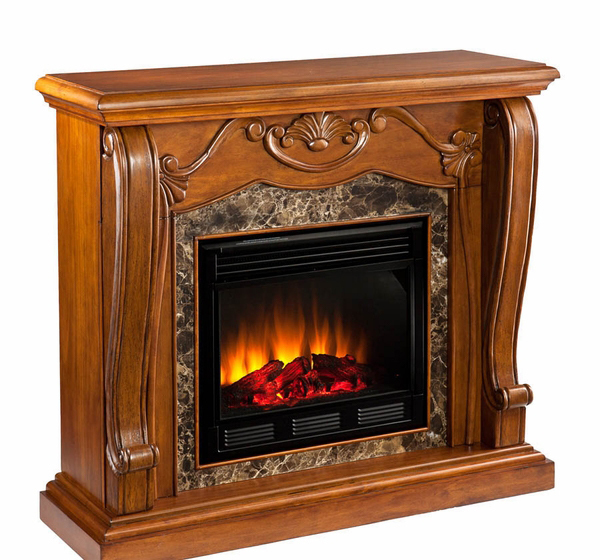 This product, like most all electric fireplaces, will generate 5,000 BTU. I had a bad experience with the quality of this product. One of the main pieces was warped when I received it and impossible to assemble properly. The company supplied a replacement, but it was also warped. This unit was a new experience for me since I have never had an electric fireplace, but I am very happy with the purchase. 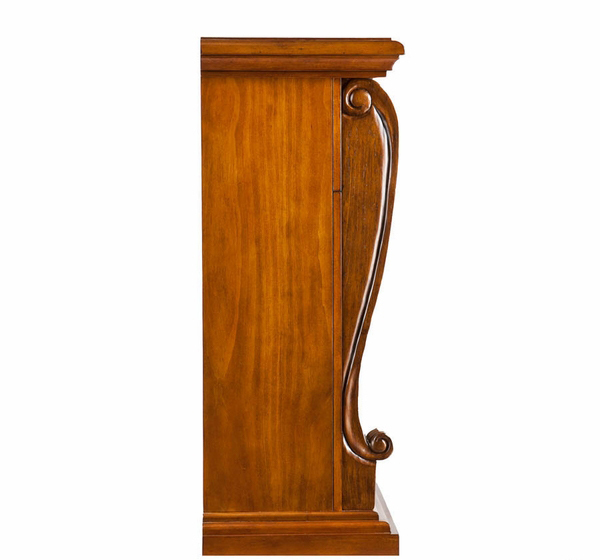 Assembly and operation are very straightforward, and it has some great features. The included remote control controls the heater and the appearance of the flame. It even has a timer. It looks great -- very stylish with a lifelike flame. Buying this fireplace was definitely a good decision.